Marvel fires Chuck Wendig from 'Shadow of Vader' miniseries for 'too much politics' on his Twitter – AiPT! Just one week after Marvel announced the upcoming Shadow of Vader Star Wars comic at NYCC 2018, writer Chuck Wendig has been removed from the project. 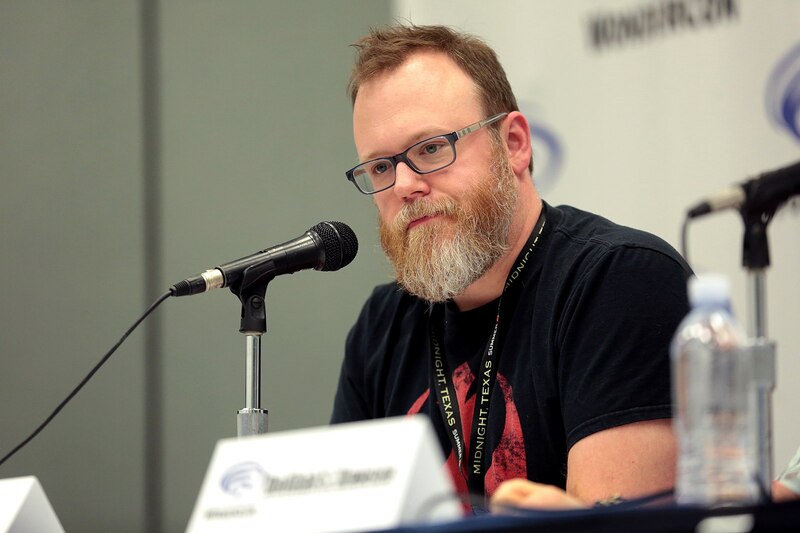 Wendig announced his firing over Twitter, where he explained that Marvel released him because of “too much politics, too much vulgarity, too much negativity on my part,” on his Twitter feed. “Basically, because I was not civil,” he said. The Star Wars: Aftermath writer posted a long Twitter thread explaining the situation — click the tweet above to see the entire thread. The question on many fans’ minds is whether this firing is actually because of Wendig’s political views and his open nature about them, or if it has more to do with the obsessive backlash it causes within the ‘Comicsgate’ movement, a collection of far-right anti-diversity trolls who decry ‘PC culture’ and ‘manufactured outrage’ by manufacturing outrage. Wendig noted in his Twitter thread that when Aftermath was released, it was immediately met with a deluge of one star reviews, despite just being released — suggesting a “downvote brigade” intended to hurt the author and brand rather than a series of earnest negative feedback. Star Wars properties, such as The Last Jedi, have long been a target of this tactic. The decision, according to Wendig, came from Marvel and not Disney — though Disney infamously made a similar decision several months ago when they fired James Gunn from the Guardians of the Galaxy franchise.